Exotic Beer, Exotic Music, Exotic Numbers and Exotic Parties. I had to look Tahiti up on a map! This is a 330ml bottle of beer, 5.5% ABV, 1.43 standard drink units, and 150 calories a serve. The labelling is great and is very attractive. Brewed by La Brasserie de Tahiti (Heineken) This is in the style that is Amber Lager/Vienna and they are in the well exotic and wistful sounding Papeete, Tahiti, French Polynesia. Right, “Amber Beer” covers a lot of things. This is a lager style, and is malted up. We agree on Vienna style. Hinano Ambrée is not only made from unroasted malt, which is used in all beers, but also from slow-roasted malt, giving the beer its unique character. But there is more! The aromatic hop used strengthens the intense flavor of Hinano Ambrée. 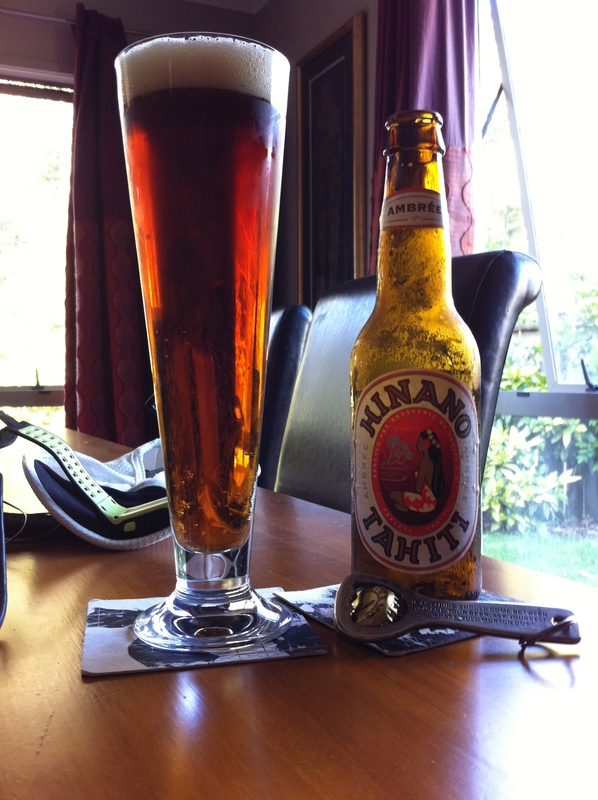 In the Hinano range, Hinano Ambrée is a unique amber ale combining quality, crispness and innovation. Thanks to its specific manufacturing process, Hinano Ambrée offers a refined and full-bodied taste as well as a color made of shades of yellow and red ochre. The use of aromatic hops strengthens the complex flavor of Hinano Ambrée. So there you go, it’s all on in the pacific. Whats the worst that could happen. Vienna Lager though, that’s very specific. That is a familiar dark malt aroma on opening. That really does look blindingly good, dark chestnut brown, decent head, a 10 for appearance! Aroma is fairly malty, it’s quite nice, has a sort of pepper thing going on, might catch you out. Well that unfolds pretty quickly doesn’t it. This is a tad sweeter than it needs to be, really. I like a sweet beer and that this just has a bit too much candy in it. I enjoyed it for what it was, got distracted finished it and therefore have to conclude that it was easy drinking beer, ideal for a holiday destination, but not really ablate stand up against a Vienna Lager from perhaps Europe or Vienna. The pdubyah-o-meter rates this as 8 of its things from the thing. It’s not bad, you need to drink this as the beer it is, without distractions as although it’s not brilliant it’s not really that bad. Am I enjoying it? Clearly yes I drank that in quick time. Would I have another? I would love another, your beach umbrella or mine. Would I share with a friend on a porch and set the world to rights? Sunny afternoons with a cheeky cocktail this would be welcome, come on over. 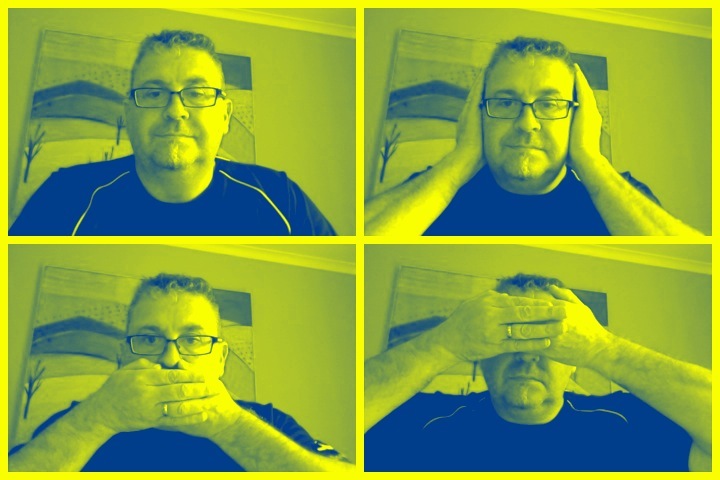 I was dancing in the garden, I was sent back inside to dance in the comfort of the lounge. 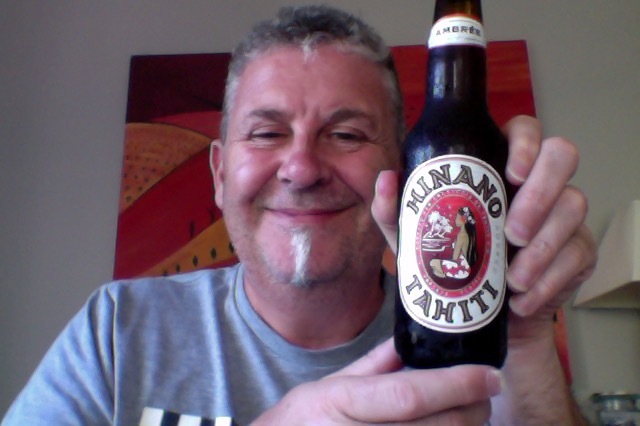 This entry was posted on January 26, 2015 by Philip Walter in Amber Lager/Vienna, Beer, Beer of Tahiti, Beer Review, Craft Beer, Critic, Hinano, Justsaying and tagged Beer style, craft beer, Hinano, Hinano Ambrée, holiday beer, Lager, Taihiti.